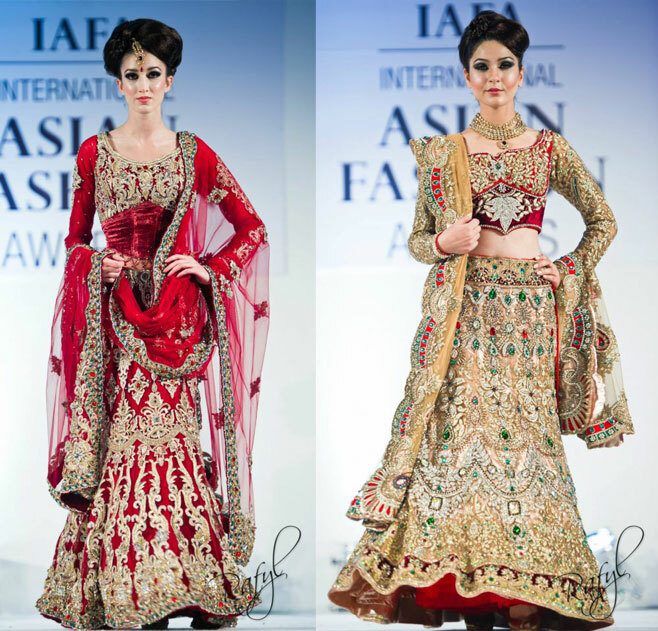 The International Asian Fashion Awards (IAFA) are back for 2012 and this time the event looks set to be bigger and better than ever! The awards ceremony itself takes place next month on the 10th November in London including a fashion show by Naseeba Sacranie and the Ooops Team. Tickets aren't available to buy yet, but in the meantime there's the small matter of the awards themselves. There are a number of different categories which will be judged by a celebrity panel including one of my favourite Indian designers Manish Malhotra, Pakistani designer HSY, make-up artist Lubna Rafiq, Fashion Editor of GQ India Antara Motiwala and photographer Paul Farnham. 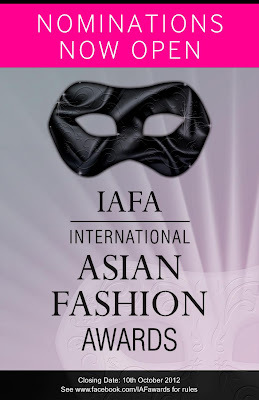 There's still time to submit a nomination for your company or to nominate an asian fashion company which you admire. The closing date for entries is midnight on Wednesday 10th October. Visit the IAFA Facebook page for information on how to submit your nomination. View the winners and more catwalk photos from the 2011 show here: 2011 International Asian Fashion Awards, and the 2010 show here: 2010 International Asian Fashion Awards.